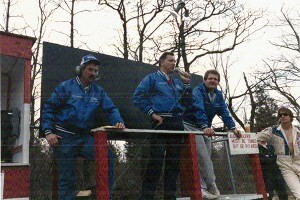 The Speedbowl went through some troubled times with the officiating crew in 1990. Prior to the season, Chris Hopkins resigned for personal reasons and the Korteweg family named former Chief Starter Bill Long as his replacement. Yet by mid-July, Long resigned too, siting "functional management differences over the operation of the racing events" with the Kortewegs. The Race Director position was divided up amongst the inspectors for each division for the remainder of the season. In early August, modified driver Mike DeMarco was fined & suspended for confronting Mike Gada in the pits after an incident on the track. DeMarco successfully got Track GM Dan Korteweg to wait to impose any penalties upon further review. DeMarco then went out an won the next week's Modified feature event. Two days later, DeMarco's suspension was upheld. Korteweg admitted he was upset he had to pay the winner's purse to DeMarco during the review period of the incident. Additionally, track management had off-the-track issues with the neighboring residents and the local Zoning board. 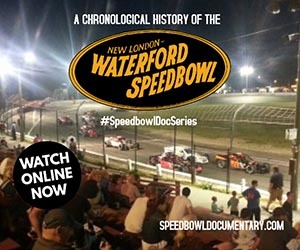 The ownership group, Waterford Sports Center Inc., filed a proposal to allow for additional recreational activities to be held on the Speedbowl property including drag racing, concerts, miniature golf, camping and carnivals. 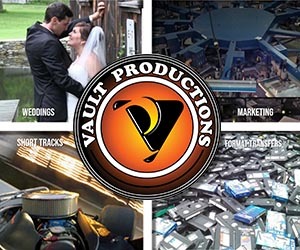 The petition was denied by Waterford Planning & Zoning Commission on Sept 25, 1990 prohibiting any such expansion to the facility. The proposal also set off a group of residents would continue to battle with the track over polution and noise ordinance violations for the next several years. 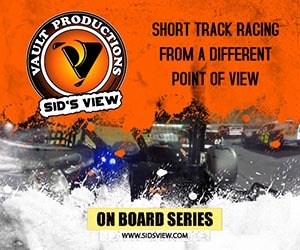 On the track, Dave Gada became the first driver in Waterford Speedbowl history to join his father on the Track Champions list when he beat out his brother Dennis (who won Rookie of the Year honors) for the SK Modified® point championship. Dave clinched the title without benefit of a single victory in a points race, although he would end the season by winning the non-point 60-lap portion of the Chill Out '90 finale. Ironically, neither Dennis Gada (2nd in points) or Glenn Sullivan (3rd) won a point race either – in fact, 2-time winner Lloyd Agor (4th) was the only driver in the top 5 that won a feature event during the season. Ted Christopher won the season opening Blast Off 90 as well as the 75-lap Race of Champions qualifier in August. 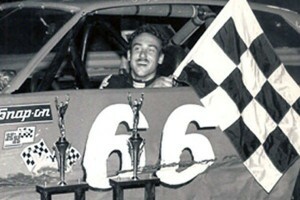 Don Bunnell won the 75-lap Mid-Season Championship and a 50 lapper during Labor Day Spectacular. 6-time champ Bob Potter won the SK 200 portion of The Showdown in September. Car owner turned owner/driver Jay Stuart drove his #66 Late Model to his first track championship as a driver and second as car owner. Stuart also led the division in wins with 6 en route to the championship title almost 300 points better than Late Model runner-up Tom Fox. However, Stuart was very vocal about his opinions of the track officials, calling them out to the media at season's end for what he percieved as favoritism to Phil Rondeau. Gary Limitone won the Race of Champions qualifier in August. Phil Rondeau won 4 times in the Late Models and scored his first career SK win on June 30th. 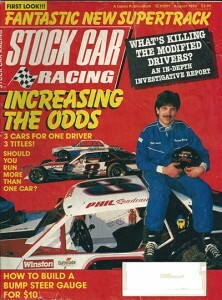 "Farmer" Phil's status as one of nation's premier short track Late Model competitors was featured in cover story feature for Stock Car Racing magazine. Midget standout Johnny Coy took part in an on-track ceremony in which he presented Rondeau with a framed memento commemorating the national recognition. There were 15 different winners alone in Strictly Stocks, including 3-time winners John Williams Jr and Allan Wohlstrom. Allan's 3 gave him 12 for his career – the most in the division's history to date. 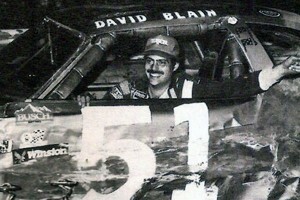 2-time winner David Blain won the track championship by 55 points of Williams Jr. He clinched the title after the last points race, which he won, when John Williams Jr (seemingly finishing 5th in the race) was disqualified during post-race technical inspection for an illegal manifold. The DQ cost Williams the championship as he had an otherwise insurmountable lead over Blain. The NEMA Midgets returned after a one year absence. Their 25-lap event on June 2nd was won by Drew Fornoro. The Pro-4 Modifieds (formerly the NE Mini Modifieds) made two visits with Sam Stern and Joe Lemay taking down the wins. 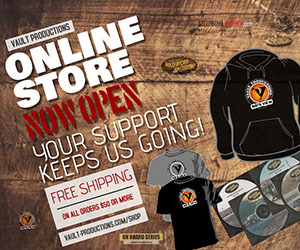 The enduro division was expanded as a second division was created for 4-cylinder cars. The smaller division ran 4 events in their inaugural year: 3 in the summer and 1 in November. 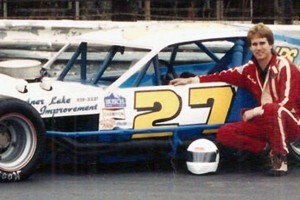 Eventual 3-time track champion Bruce Thomas won the division's first 2 events at the Speedbowl. 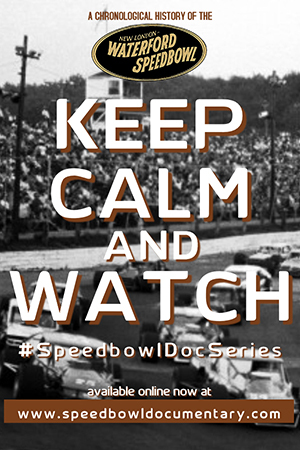 With just 3 weekly divisions and only 7 touring events on the schedule, the Speedbowl still produced 44 different features winners throughout the season.